The Dreams in our Hearts: How will God use us to reach our world in 2015? For those of you who have followed my blog and ministry, you know that Clay and I have a ministry that we have built for 20 years together. We would so appreciate it if you would read our end of year letter and consider supporting our ministry if God puts it on your heart. Thanks so very much! As we enter what we are calling our “second generation” of ministry, we are thankful for all that God has done through Whole Heart. But we also realize there is so much more ministry left in our hearts yet to do. That’s why we are focusing so intently right now on what’s ahead in 2015 and beyond. We want to discover one thing: What is God’s heart for Whole Heart? In all our envisioning and planning, we are reminded of one simple truth: We would not still be serving Christian parents today if not for the generous support of so many friends of this ministry through the years. We need partners. We can’t do this alone. But before we get to that, we want you to know this: We will do what God calls us to do as long as we are able to do it. We want to be among those “whose heart is completely His,” the ones God searches all the earth to find (2 Chr 16:9). 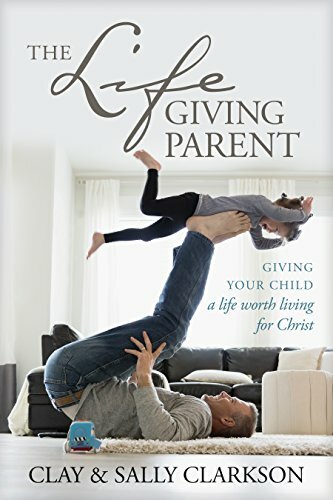 The heart of our ministry vision has always been simply to help Christian parents—to encourage and equip them to raise godly children who will, as David said, “serve [God] with a whole heart and a willing mind” (1 Chr 28:9). As the biblical design for family is threatened by a tidal wave of cultural change, we want to make sure we can continue to “strengthen what remains” (Rev 3:2)—to keep helping families be faithful for Christ. At the end of this letter, we’ll share with you how you can help us help parents. We have hundreds of similar letters in our files, from all over the world. Sally’s books have been translated into seven foreign languages, and our books and ministry reach families in English‐speaking countries such as Australia, New Zealand, England, and South Africa. Young mothers are hungry for biblical perspective from a seasoned Titus 2 older woman, and parents want sound, biblical insight for building a Christian home and raising godly children. God has given Whole Heart a mission field. We’ll Minister to the Beat of God’s Heart Like the Apostle Paul, we “press on toward the goal” (Phi 3:14) of fulfilling Christ’s call on our lives to strengthen families. But as our children leave home and find their own ways in the world, we are entering a new season of life and ministry. To stay effective, we are seeking God’s heart for Whole Heart. We want to invest in ministry choices that will last, and that will enable us to last. WHOLE HEART PRESS: We started Whole Heart Ministries with the vision of writing and publishing books to help Christian parents. 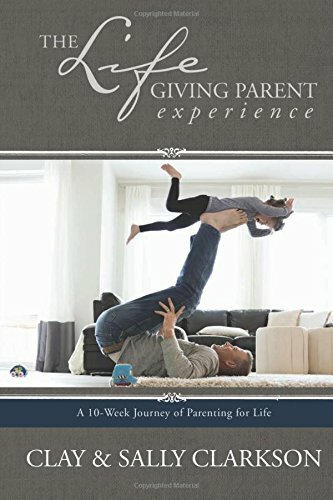 That “ministry in print” will always be at the core of the Whole Heart mission as we write new books for moms, dads, kids, families, and small groups. WHOLE HEART ONLINE: Our ministry website, WholeHeart.org, is the online hub of this ministry. It’s a place where anyone can come to find out more about the books, resources, messages, media, initiatives, movements, and events that are the “ministries” of Whole Heart Ministries. MOM HEART CONFERENCE: Since February 1998, we have offered fifty WholeHearted Mother and Mom Heart Conferences in seven states to encourage thousands of Christian mothers to “come home to God’s heart for motherhood.” We believe in the power of gathering together as believers. MOM HEART INTENSIVES: Nearly fifty mothers attended the first three‐day Mom Heart Leader Intensive Training in our home in 2010. Other “Intensives” have followed, and now more are planned in Colorado and around the world as Sally trains mothers to minister to mothers. MOM HEART MINISTRY: Mom Heart Ministry is a strategic small groups ministry initiative to “restore moms’ hearts to God’s heart for motherhood.” On MomHeart.com, moms can find training, resources, media, encouragement, and connections to be part of this movement of mothers. STORYFORMED PROJECT: Sarah, our oldest daughter, envisioned, started, and leads Storyformed, a ministry initiative to champion the role of literature, story, imagination, and the arts in the home. As an author, she will oversee the Storyformed Books imprint and the Storyformed.com website. SALLYCLARKSON.COM: Sally’s online and in‐print ministry to Christian women and mothers has grown beyond Whole Heart to become her own personal ministry. 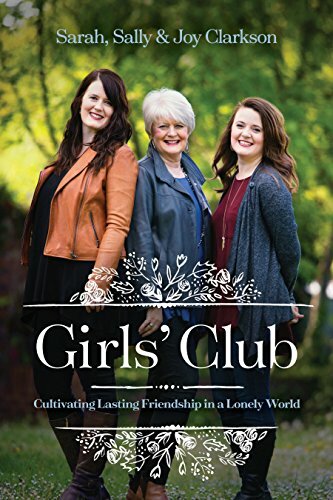 Her heart is to be a biblical encouragement to women to become life‐givers who “own” the life God has given to them. We are, and always have been, just a small, family‐run, nonprofit, Christian, faith ministry. All that means is that we trust God to provide financially as we step out in faith. There are two needs we’re trusting God to provide for through this letter. First, looking ahead, we need financial partners who will move boldly by faith with us into our second generation of ministry. Second, right now, we need partners to help us overcome a significant 2014 deficit. Because of an unanticipated shortfall of funds in August and September, we were forced to borrow against our 2015 budget to meet obligations. Your financial gift would be greatly appreciated at this time to help us remove the deficit and move into 2015 financially healthy. If God puts it on your heart to support our ministry, you may donate HERE. WholeHeart.org. It is safe and secure, and will give you full control over your giving. You can also send a check to the address below. Financial contributions to Whole Heart Ministries, a 501c3 tax‐exempt organization, are tax‐deductible. Thank you for your partnership! Your gift helps us press on in Christ to keep faith in the family. Thanks for reading this. God bless you with grace and peace as you celebrate his coming to bring His light. Newer PostTo see inside a heart, to embrace, hold and respond, is the gift of Christmas!